their return from the internet. search engine optimisation for all types of websites and all market places. the first time? we can help increase your roi. Complete Marketing Solutions is a small Web Design, SEO and Marketing Consultancy based in Bideford, North Devon. We specialise in Search Engine Optimisation (SEO) and employ the latest proven tactics to get your business found by customers on Google. Complete Marketing Solutions work with many businesses both locally and across the UK, to provide professional, powerful marketing services at competitive prices. We are a small, friendly and approachable team who won’t try to confuse you with technical jargon and computer language -We’ll explain things in plain English so that you fully understand what we’re talking about! We like to build lasting relationships with our clients and work closely with them to set and achieve realistic business goals. 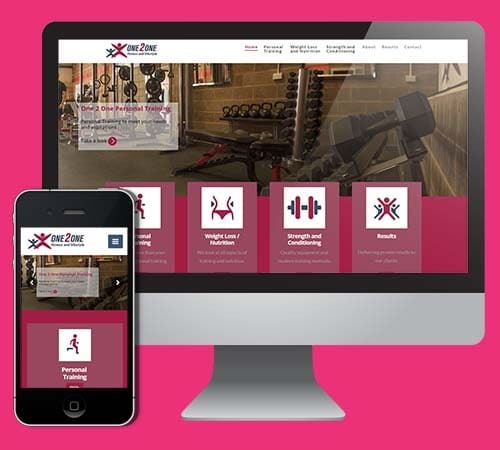 Responsive WordPress Websites built to your specification and budget that make you stand out! We’ll help you get found on Google and the other major search engines, making sure your website ranks highly. Want something a bit different? We offer wordpress styling, Theme and Plugin development, Bootstrap, CSS, Java Script, PHP. Management of Google Pay Per Click campaigns to deliver your business the amount of leads or sales you need. We understand that each client is unique, and therefore we adapt our approach to offer a bespoke solution for your business. For some clients we handle their entire marketing efforts, and for others we simply manage their website or Facebook Business Page. Whatever your business needs, we will use factors such as business stage, market place and location to determine your personalised Complete Marketing Solution. Further information about the services that we offer can be found here. To make an enquiry or to get started, please Contact Us. Our initial consultation meeting offers a starting point to examine your current marketing needs and discuss your business aspirations. We will then make a proposal based on your specific needs utilising digital and traditional media to help to achieve your goals. Give us a call, send us a message. We’ll arrange a meeting to discuss your needs. Once we understand your requirements we’ll design and build the site you want. want to become a client? One of the first things that many of our new clients say to us is that they wanted to deal with a web developer who is local to them, not an agency who's hundreds of miles away. We're based in North Devon but have already got clients across Devon as well as many more who are further afield. Whether you're based in Bideford, Barnstaple, Torrington or Ilfracombe then we can provide the solution you need. Think we're the company for you, want to find out more? Give us a call now or send us a message and we can talk through your business aims and aspirations and importantly how you want to be represented online. Whether's it to help you get found better in relevant searches, to create a website that shows off your business or to improve your social media presence then we can help! Make the call today and start your journey to achieving your internet goals.